Dr. Isha Metzger is a Postdoctoral Fellow at the National Crime Victims Research and Treatment Center at the Medical University of South Carolina. 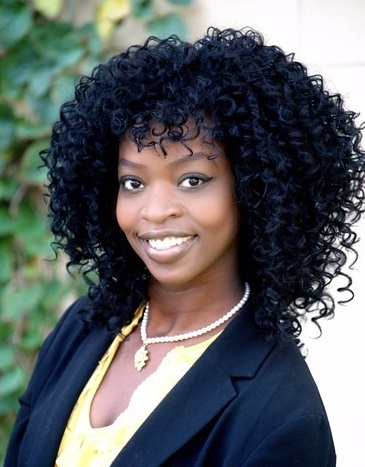 She also serves as a Visiting Postdoctoral Research Fellow at the Center for Interdisciplinary Research on AIDS’ Research Education Institute for Diverse Scholars Program at Yale University. Dr. Metzger has developed a systematic research program aimed at elucidating the role of culture in treatment to better inform outcomes for African American youth receiving services in “real world” settings. She considers culture in her focus on the study of risk and protective factors associated with risk behavior engagement and related consequences among minority youth; the evaluation of evidence-based treatments and organizations; and the modification, implementation, and dissemination of evidence-based mental health treatments and services for African American youth. From Atlanta, Georgia by way of Sierra Leone, West Africa, Dr. Metzger is both personally and professionally committed to interdisciplinary and translational work focused on reducing disparities in treatment engagement. She is an advocate in the local community and a teacher devoted to instruction in Psychology. Clinically, Dr. Metzger has experience providing direct services, consulting, and supervising the delivery of evidence-based treatments to thousands of underserved individuals seeking treatment for a broad range of problems related to trauma exposure, anxiety and mood, substance use, risky sexual behaviors, self-harm, and a range of internalizing and externalizing problems. Dr. Isha Metzger earned her M.A. and Ph.D. in Clinical-Community Psychology from the University of South Carolina. Dr. Metzger completed her pre-doctoral internship in Clinical Psychology at the Medical University of South Carolina, an APA-Accredited internship program. Dr. Metzger will be starting a Tenure Track Assistant Professor position in the Department of Psychology at the University of Georgia in the fall of 2017.